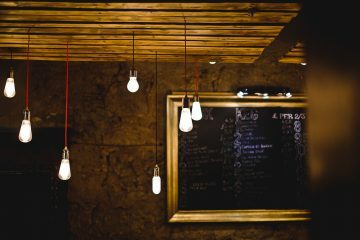 Looking for a quality and affordable electrician in Liverpool? 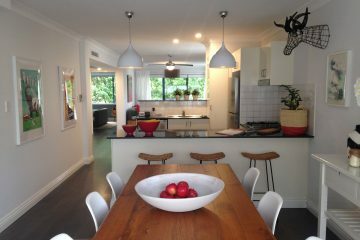 SRW Electrical Contractors Ltd combine quality workmanship, superior knowledge and low prices to provide you with a service unmatched by our competitors. We have a proven record of accomplishment and are reputable electrical contractors in Liverpool, Merseyside and throughout the North West. We offer a free quotation and will provide a fixed price for the work required. For us, honesty is the only policy and we strive to complete all projects with integrity and ensure all projects are completed within the timeline set with our clients. We have the experience, personnel and resources to make the project run smoothly and are one of the most trusted electrical contractors in Liverpool. We use the best of technology and tools to ensure that all jobs are done quickly but also giving attention to details and ensuring everything is done correctly. All projects are done with utmost professionalism using quality materials while offering our clients support and accessibility. Who Are SRW Electrical Contractors? SRW Electrical Contractors Ltd have built our reputation on trust, reliability and quality workmanship in Electrical Installations in the Commercial, Industrial and Domestic sectors. We have established ourselves as a part of the Electrical Industry within Liverpool, covering Sefton, Wirral, St. Helens & Knowsley. We undertake electrical projects ranging from small maintenance tasks, building services electrical refurbishments, electrical maintenance and testing contracts, through to commercial electrical preventative maintenance programs. We value the relationships and partnerships we have developed with our clients over the years, which is why we receive such a high level of repeat business. This encourages us to strive to create and build new relationships and partnerships with new clients. 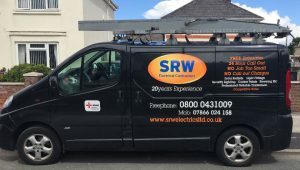 I really appreciated the care taken during the recent re-wiring of my home, I was very impressed with the professionalism and quality of workmanship, your electricians were polite, tidy and are a credit to SRW Electrical Contractors Ltd. I will definitely recommend you. I have no hesitation in recommending SRW Electrical Contractors Ltd if you are looking for an electrician in Liverpool. The standard of work is excellent along with their conduct and professionalism. Many thanks once again. Thank you very much for the work done on our lighting installation. We appreciate knowing we could trust you to do a good job and feeling secure that we were working with a real professional. Extremely impressed with the quality of work and would definitely use again. The service I got from SRW Electrical Contractors Ltd was excellent. They came to discuss the job, sent the quote quickly and arranged for the job to be done the following week. Excellent communication and the work was really good. My electric shower had stopped working and needed replacing. SRW came out and replaced it the next day, no fuss or hassle, clean and friendly staff. I'd highly recommend anyone who is looking for an Electrician in Liverpool to give them a call. We wanted some security lighting and CCTV equipment fitted in the garden along with some new decorative garden lighting. SRW Electrical gave us invaluable advice that saved us money. They discussed the project with us, gave us a quote that we were pleased with and got the job done just as they promised. Extremely pleased with the price and the job.